Application Deadline: This program ends in May 2018, there is no funding for 2018/19. The Kent State University Scholarships for Broadening Participation in the Sciences (DUE 11-54422) will annually provide 21 undergraduate scholarships, averaging $5,000 each to promising science students. The scholarships will be awarded to students who are financially disadvantaged thereby enabling them to pursue a full-time program of studies that can be completed in four years. Scholarship awardees will be linked academically through a shared interest in computational and quantitative approaches to problem solving in the natural and physical sciences. The scholarship is renewable each year and available from academic year 2012/13 until 2016/17. This continues the scholarship program that started in 2007/08 and ended in 2011/12 (NSF DUE 06-31088). Make sure to read the above information on eligibility. Complete the forms for financial aid at www.fafsa.ed.gov. Contact the KSU Office of Financial Aid www.sfa.kent.edu. The applicant is to write a one-page essay. The essay should discuss the applicant's science abilities, what he or she has learned about the field, what strengths and weaknesses the student possesses, and what the student's aspirations are for a science career. You should prepare your essay ahead of time and cut and paste it into the application form (online). Applicants will be judged based on their financial need, academic record, letters of recommendation, and essay. Or one of the other scholarship committee members. 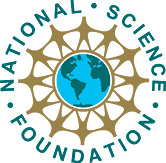 Funded by a grant from The National Science Foundation (DUE 11-54422) S-STEM Scholarships for Broadening Participation in Sciences.